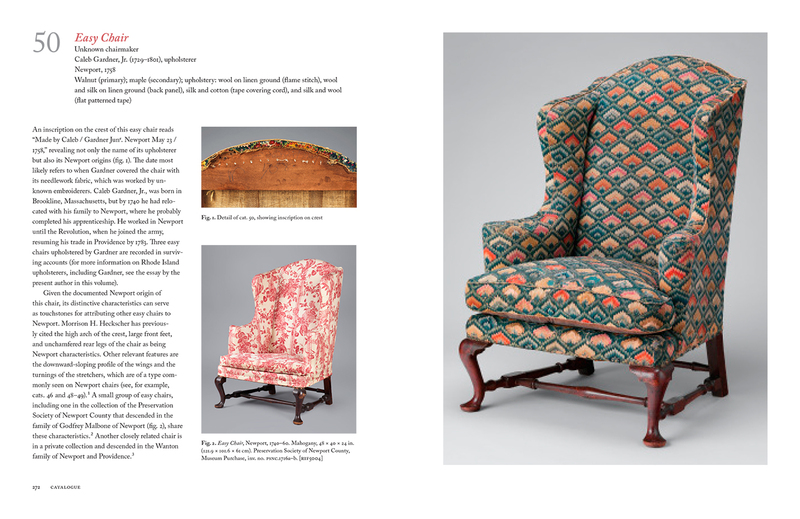 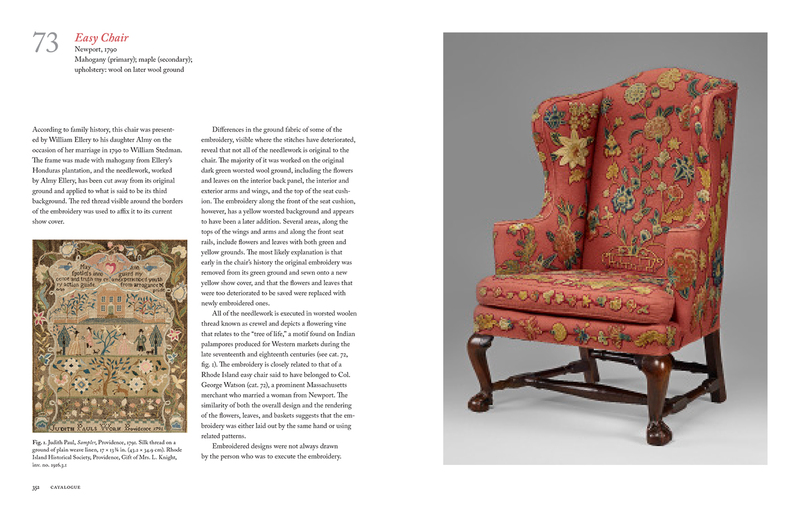 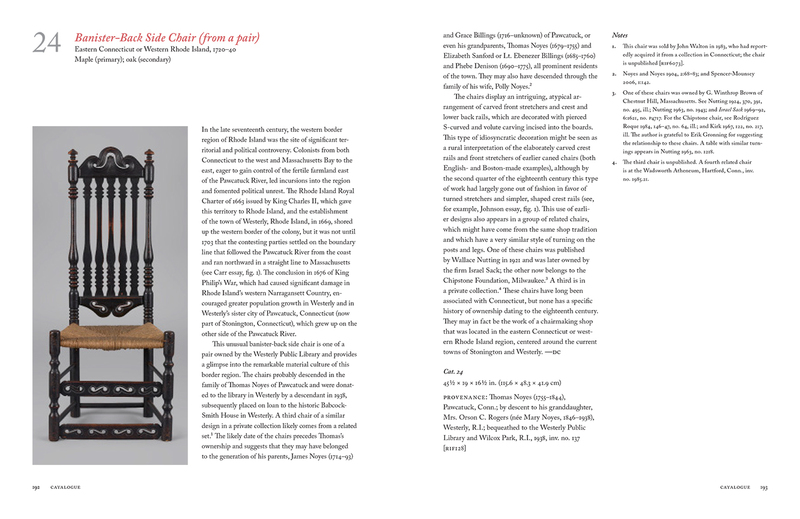 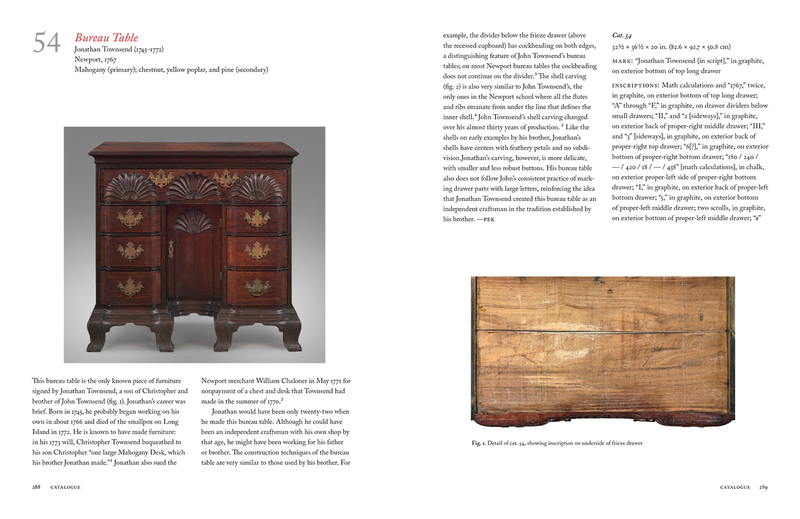 The most comprehensive publication available to date on the topic, Art and Industry in Early America examines furniture made throughout Rhode Island from the earliest days of the settlement to the late Federal period. 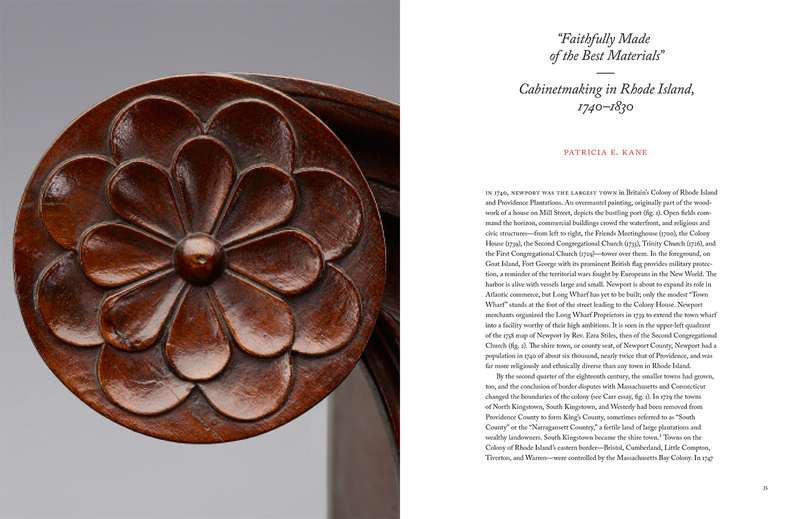 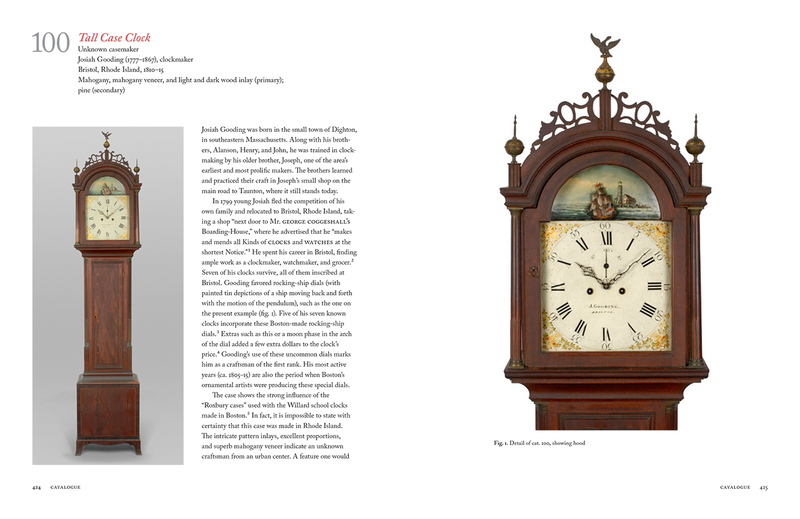 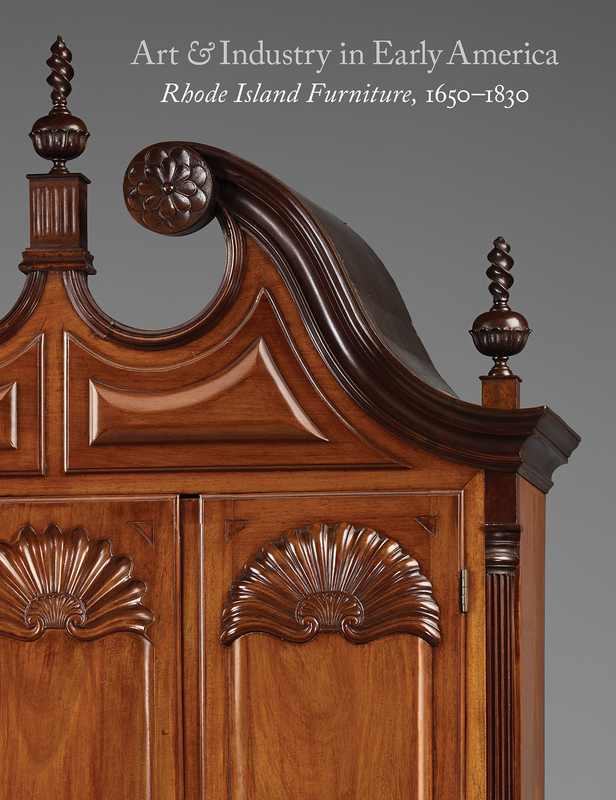 This stunning volume features nearly 400 illustrations of beautifully constructed and carved objects—including chairs, high chests, bureau tables, and clocks—that demonstrate the superb workmanship and artistic skill of the region’s furniture makers. 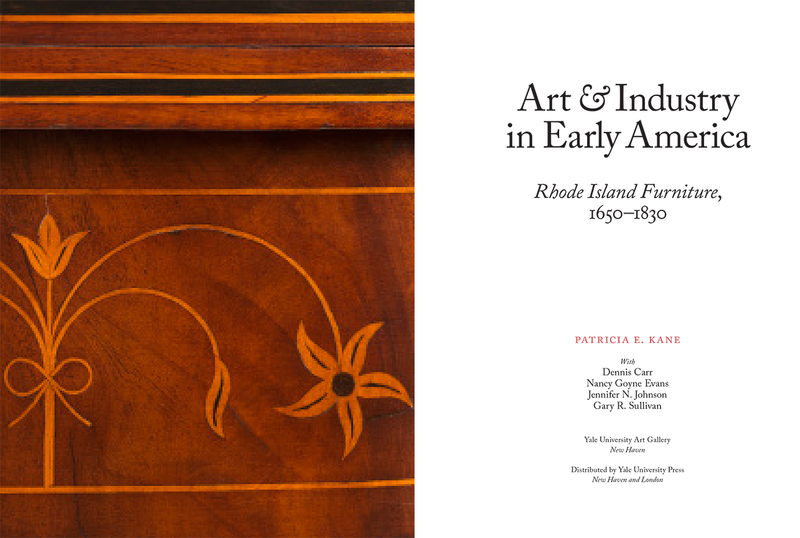 Written by distinguished scholars, the book presents new information on the export trade, patronage, artistic collaboration, and small-scale shop traditions that defined early Rhode Island craftsmanship. 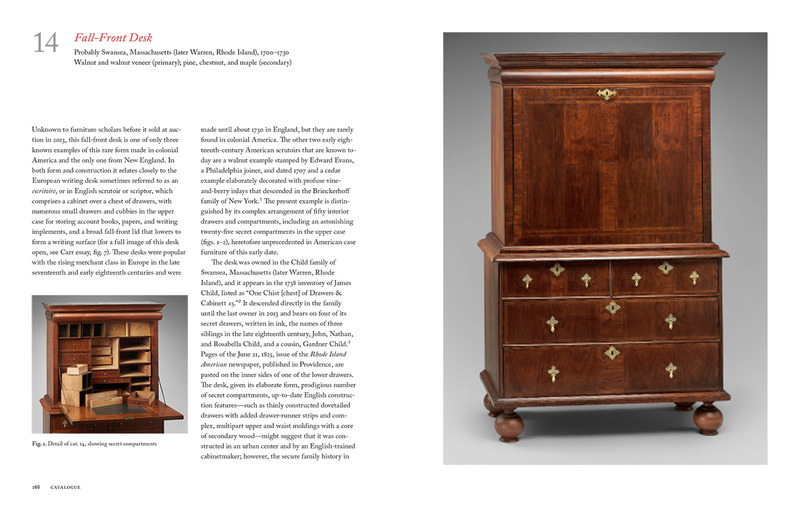 In addition to iconic, stylish pieces from important centers of production like Newport and Providence and by well-known makers such as John Goddard and Samuel and Joseph Rawson, Jr., the catalogue showcases simpler examples made in smaller towns. 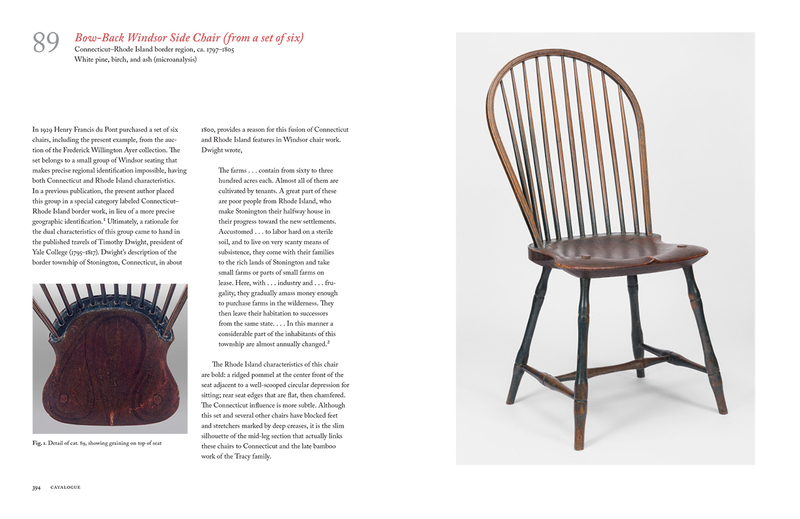 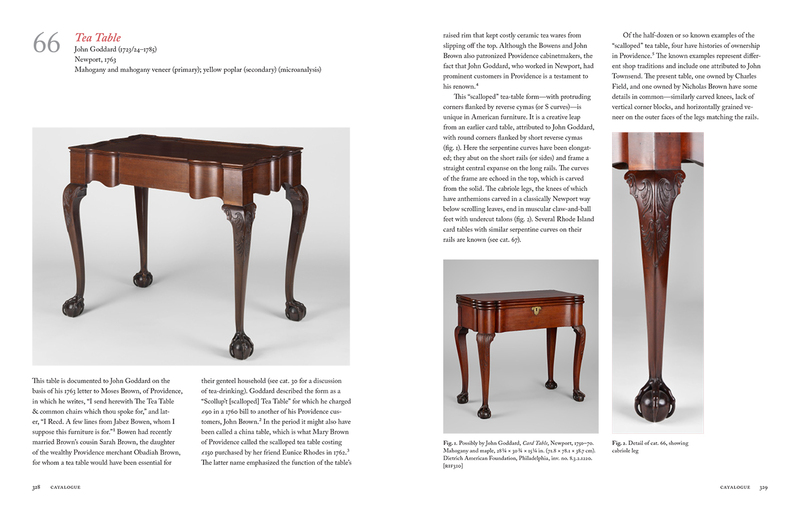 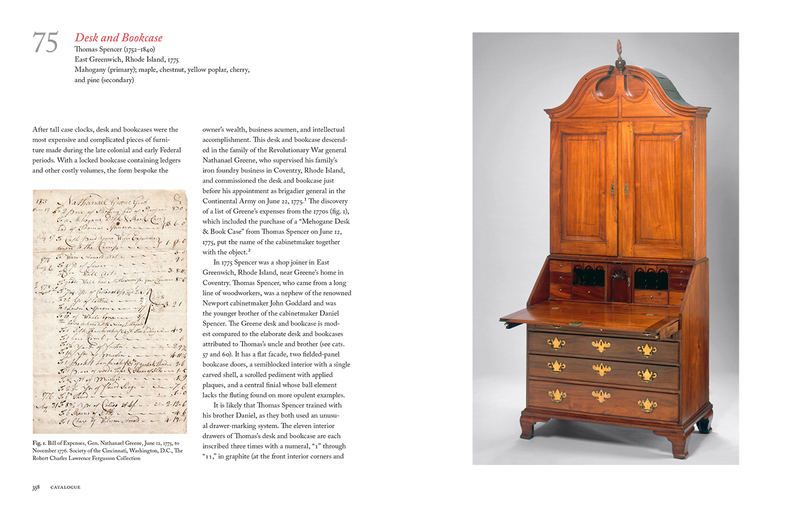 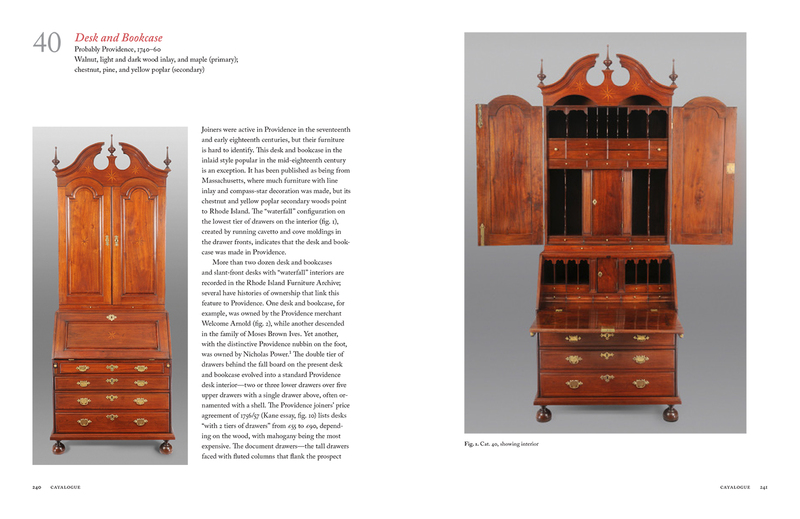 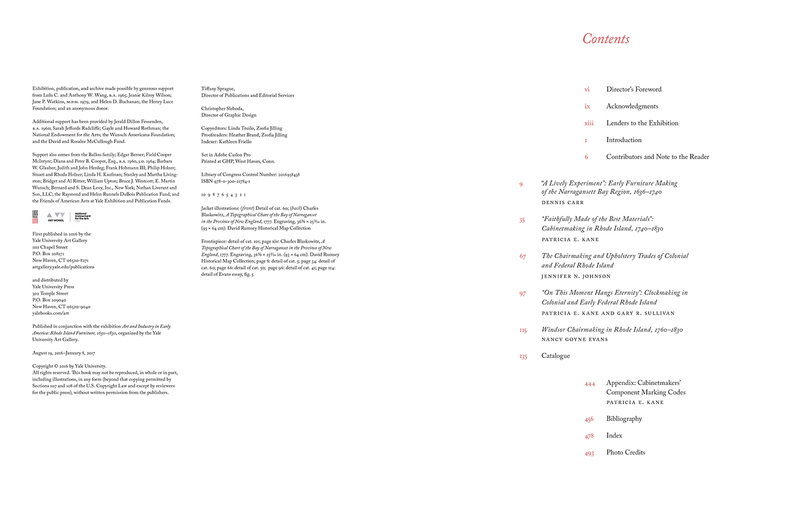 More than 100 catalogue entries detail marks and inscriptions, bibliography, and provenance and feature many new photographs, encouraging a deeper understanding of this dynamic school of American furniture making.